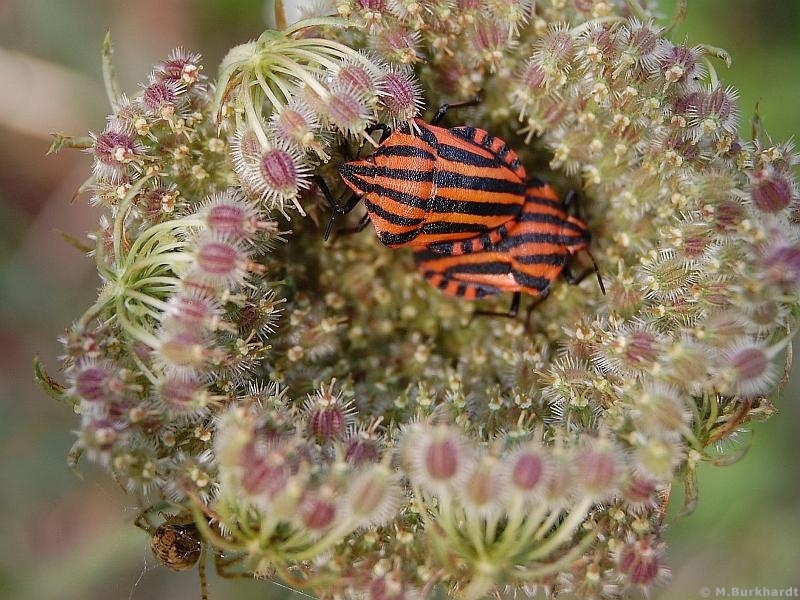 This little shield bugs looks like wearing their Pyjamas the whole day. They are reaching a length of about 12mm and could be found on sunny hillsides. Amazing composition..great detail and colors..Well done DOF..Bravo! Great photo, made me smile. The sharpness and the vivid colors are really impressive.